The North Stream Pipeline was officially opened by Russian Prime Minister Vladimir Putin this week. 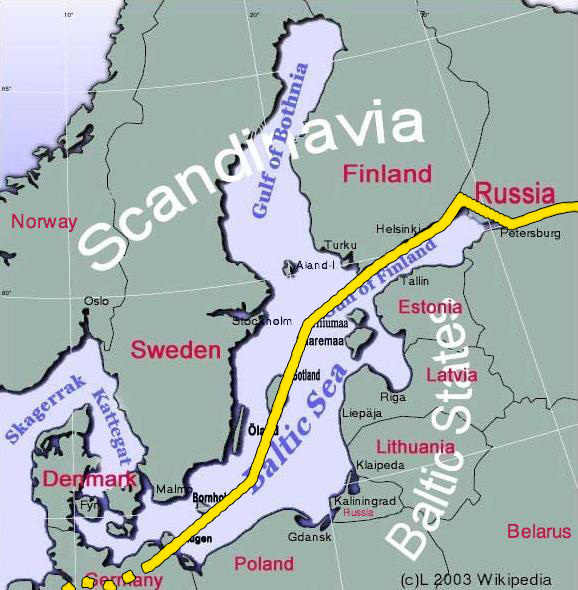 It will carry natural gas from Russia to Germany, via the Baltic Sea. Russia has been dependent on Ukrainian pipelines and the two have had disputes in the past. At one point the pipelines were shut down because of conflict between the countries. "Nord Stream has a special significance for meeting the growing gas demand of the European market. It will be the first direct link between the world’s largest natural gas reserves located in Russia and the European gas transmission system, said Gazprom head Alexey Miller told the companies website. Most of the natural gas to be supplied by Gazprom via Nord Stream will come from the Yuzhno-Russkoye oil and gas field — one of the largest fields in the world. Later, the Nord Stream will also be supplied with additional gas from fields on the Yamal Peninsula, in Ob-Taz bay as well as the Shtokman field. The pipeline extends from Russia to Germany.